The atmosphere in Uzbekistan is changing; breathing is becoming freer. A more biting press is emerging, the previously crushed and cornered public is reviving, and the authorities loudly declare adherence to universal human rights. In May, the UN High Commissioner for Human Rights visited the country for the first time. In August-September, a delegation from the previously banned organisation Human Rights Watch was in Tashkent. In late October, Tashkent will host an annual conference on media freedom in Central Asia. Today, in the Uzbek capital - after waiting for thirteen years - the UN Special Rapporteur on freedom of religion or belief arrives. And the authorities want more: and now Samarkand will provide its space to hold an international forum dedicated to the 70th anniversary of the Universal Declaration of Human Rights! A sudden and secret arrest of journalist Bobomurod Abdullayev in Tashkent against the background of the events described above makes us think about how much the authorities of the country are sincere in their intentions. 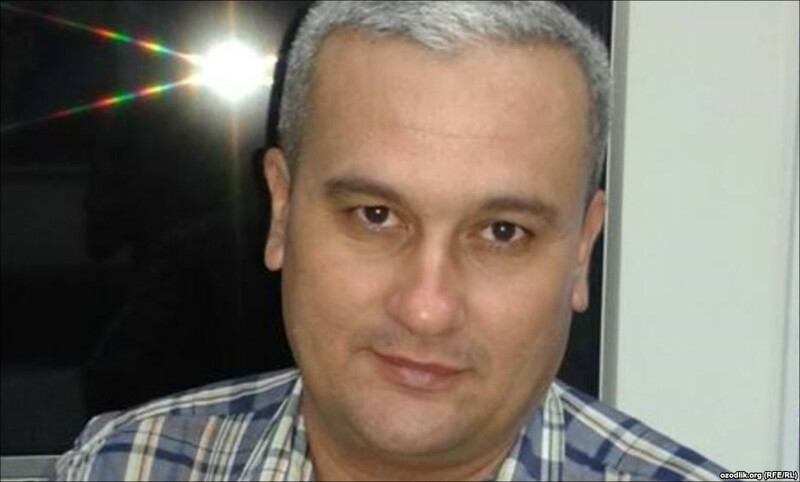 "On 27 September 2017 in Tashkent around 13:30 journalist Bobomurod Abdullayev left the house and did not return," the Association for Human Rights in Central Asia said in a recent statement. "Two days later, his relatives learned that he was in custody and was in the detention centre of the National Security Service of Uzbekistan." "In the afternoon of 29 September, the officers of SNB (the National Security Service - note by Fergana) searched the house, where Bobomurod Abdullayev lives with his family, for six hours. [The investigators] took desktop, books, disks and flash cards away," the press release of the human rights organisation said. Bobomurod Abdullayev, born in 1973. Has a higher education. Independent journalist. He started his journalistic career as editor-in-chief in the methodology department of the Central Bank of the Republic of Uzbekistan and the press service of the "ASAKA" bank in Tashkent. 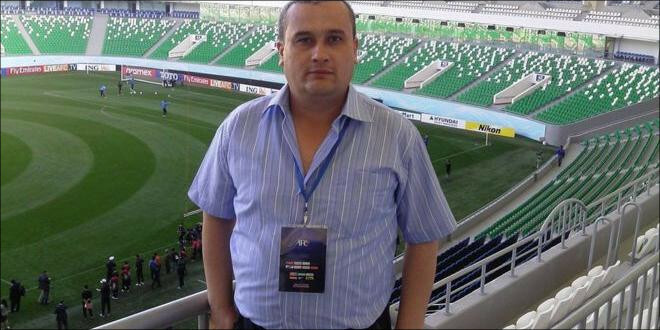 Over the years, as a sports columnist, he comments on football competitions; participates as an independent expert in the discussions of Ozodlik Radio - the Uzbek service of Radio Free Europe / Radio Liberty. Previously, he was the creator and project manager of Ozod Ovoz / Free Voice, a correspondent for the British Institute for War and Peace Reporting (IWPR), and participated in media projects of Internews International. We should note, that the wife of Abdullayev has been unaware of his whereabouts for more than two days until she turned to the police to file a statement about his disappearance. According to the Tashkent human rights activist Surat Ikramov, Bobomurod Abdullayev disappeared after an unknown person called him saying that he was from a car service and invited a journalist to pick up his car. "B. Abdullayev dressed, left the house and went to the car service, where unknown persons in plain clothes apprehended and brought him to the SNB detention facility named "Gvardeisky", Ikramov writes. It has been more than three days since the authorities arrested the journalist; however, it is still unclear about his charges. There is no information on the state of his health and about the conditions in which they keep him. They have allowed his lawyer see him yet. Surat Ikramov said that initially the well-known Tashkent lawyer Munozhat Parpieva carried the defence of Abdullayev, but after the SNB investigators exerted pressure on the journalist's spouse, she was forced to abandon her services. Now the investigation brought in a state counsel to defend the independent journalist. The secret actions of the special services raise serious concerns: in fact, covertly from relatives and the public, it is easy to fabricate ridiculous accusations against any person. "According to the preliminary version of the investigation, they suspect Abdullayev of theft. Moreover, it is a formal reason for his detention, since shortly before the arrest he noticed the shadowing," Nadezhda Atayeva wrote in her press release. The investigators must have registered Abdullayev's arrest immediately, on 27 September, then in 72 hours, that is, on 30 September, a trial must have probed the case. However, according to human rights activists, the court on the extension of the preventive measure to the journalist must have held in the Yunusabad District Criminal Court on Sunday, 1 October. But Monday has passed, and neither the defence nor the family could find out whether the hearing carried secretly or not. 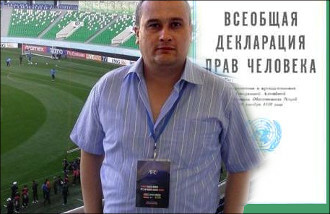 Bobomurod Abdullayev is known for his sharp criticism of the leadership of the Football Federation of Uzbekistan and the head coach of the football team. Is his crime in this? "We regard Bobomurod Abdullayev's arrest on the eve of the Central Asian Media Conference, organised by the Office of the Representative of the Organization for Security and Cooperation in Europe (OSCE) on Freedom of the Media, as a clear signal that the Uzbek authorities are not ready for dialogue with civil society," head of the Human Rights in Central Asia Association Nadezhda Ataeva writes. "We urge the government of Uzbekistan to immediately release independent journalist Bobomurod Abdullayev, to respect his right to freely and unhinderedly express his opinion, to have access to the defence of his choice, to ensure an open trial, and to give access to a lawyer and relatives." What did Bobomurod Abdullayev do to prevent his treatment under the law? Could the sports columnist, the intellectual and the author of patriotic songs attempted a serious crime? Unlikely. Most likely, someone just did not like that the independent journalist openly expressed his civil position. But we will know no truth until there are an open trial and prompt notification of the public about all the actions of the investigation. The case of Abdullayev, the circumstances of his detention, the silence of the authorities in the traditions of the old times - all this is strongly hurting the reputation of the country, seemingly striving for democratic values. The reputation of the top leadership of Uzbekistan, first of all. And you understand it, President Shavkat Mirziyoyev?